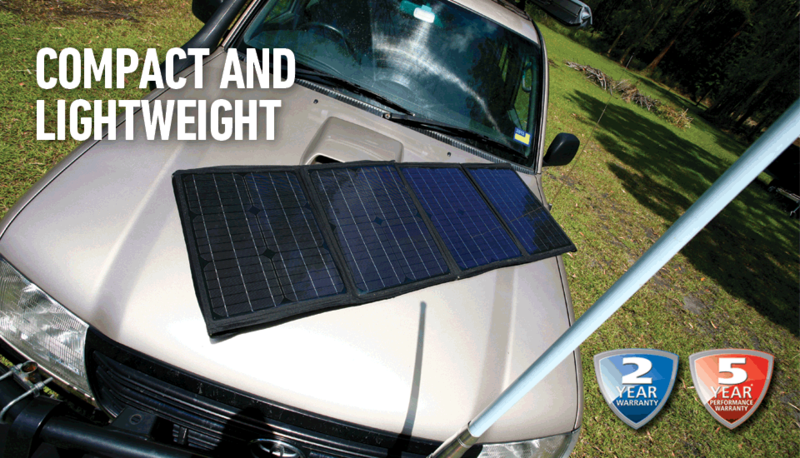 Projecta’s Monocrystalline Solar Panel Kits feature a frameless design that folds up into a compact 36cm x 50cm bag. Weighing only 5–7kg, the panels are housed in durable canvas making them travel-safe and easy to pack into yourboot or trailer. 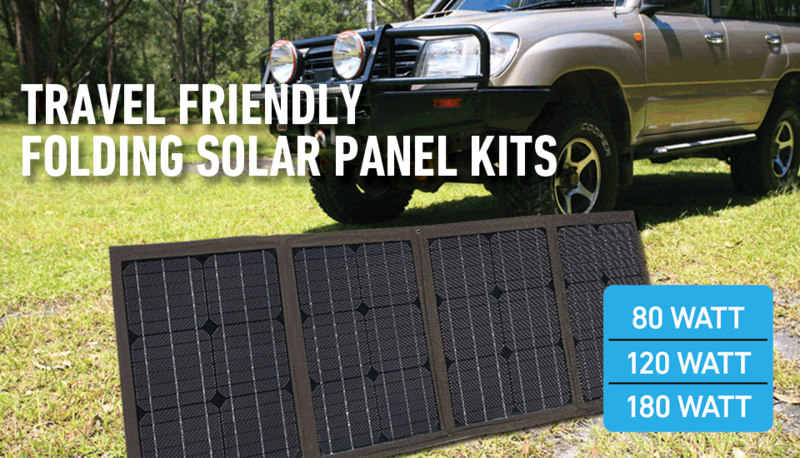 A hard fibre glass backing allows the panels to be angled towards the sun for optimum performance. Includes support legs, in-built 8.5 Amp solar controller and 5m lead with battery clips. The most efficient technology available to harness more of the sun’s power. The panels feature a scratch resistant matt coating for enhanced durability. Folds up into a durable self contained 36cm x 50cm bag for easy storage. The tough canvas bag features velcro straps suitable for camping and off-road environments and reinforced eyelets for securing with tent pags. Legs keep the panel at the optimum angle for maximum performance. Fused battery lead makes for trouble free battery connection. Leads can be stored in a front pocket. The inbuilt solar controller maintains your battery in peak condition and protects against overcharging and solar discharge.